It’s always important to have your breaks checked on a regular basis. However, mistakes can happen and knowing the appropriate steps could mean the difference from life or death. We’ve compiled safety tips from B&R Autowrecking. Check out these 9 quick reaction steps that could help you if your vehicle brakes ever fail. Keeping calm is the most important step because you’ll need a clear head to get through the situation. Overreacting will only jeopardize your chances of survival even more. If it feels soft, you may be able to revive some braking force by pumping the brakes. If it feels hard, it’s possible that there could be an obstruction under your pedal. Try to remove the obstruction with your foot or have a passenger do it for you. This may rebuild enough braking pressure to stop the car. Keep at it; it may take a while. 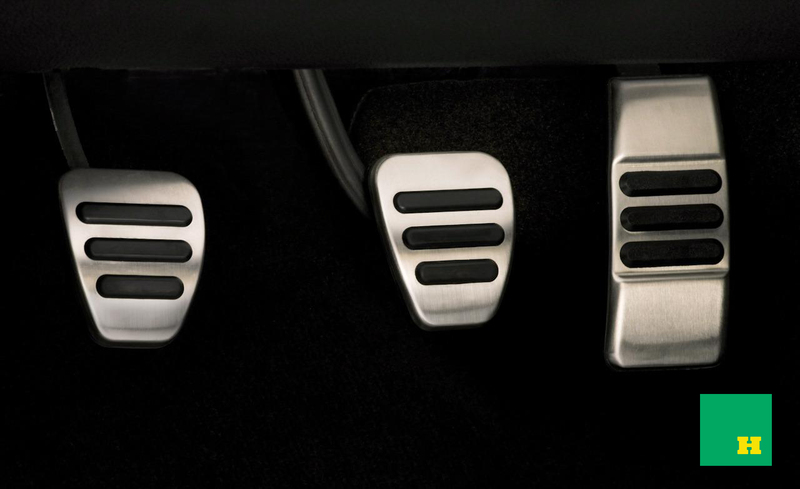 When you feel pressure built up, quickly press the brake pedal all the way down. Keep the brakes squeezed to the floor. Hydraulic brakes rarely fail completely. Progressively downshift into low gears. If you drive a stick shift, you can use your engine to slow the vehicle down. Downshift one, or two at the most, gears at a time. Use caution, rapid downshifts into second or first gear can cause you to lose control of the vehicle. Your emergency brake, or parking brake, might stop your vehicle. However, it only engages the rear wheels so it may work slowly. Use caution! If applied too forcefully, the emergency brake can lock your rear tires, especially at high speed. If your tires lock, release some pressure from the brake, hold it, and then apply more pressure as the vehicle decelerates. Keep your eyes on the road and be aware of your surroundings. Other drivers and pedestrians are likely unaware of your emergency. Alert them with your hazard lights and sounding your horn. Roll your windows down to increase air drag as well as make it possible to shout if needed. Steer sharply from side to side. Turning naturally slows your vehicle as it creates friction between your tires and road surface. If you have sufficient room, do this repeatedly but carefully. However, if you are going very fast, do not do this! Doing so at high speeds could flip or spin your car. As a last resort, use the surroundings to slow your vehicle. These techniques can be very dangerous, especially at high speeds. Dirt, gravel, grass, or sand on the road’s shoulder offer increased friction to slow your car down. Carefully and gently pull your vehicle onto a shoulder. Look for an incline to drive your car up. Use gravity to your favor. Look pear-shaped cement dividers is preferable; they are designed to contact your tires before your vehicle’s body. Look for small bushes or shrubbery you can drive through. Caution! Trees more than four inches in diameter are dangerous! If all the above steps failed, look for a spot to safely crash. You have two options, a single-vehicle crash or a two-vehicle crash. For a single-vehicle crash, first slow your vehicle down using the above methods. Steer your vehicle onto the shoulder or center divider and look for an object to impact squarely after you have reduced speed. For a two-vehicle crash, look for another vehicle moving close to your speed and that has a bumper about the same height as yours. Aim to hit the vehicle as square as possible on the rear bumper. Hitting another vehicle at an angle can send you both out of control. Lastly, warn the other vehicle by sounding your horn and flashing your lights. The above statements are not intended as official or tested safety advice, but are meant to guide careful thought of how to handle such a situation. Good luck and may you never have to employ these measures. Happy driving!